Oahu receives more visitors than any other Hawaiian island, which may lead you to believe that finding your perfect hotel or resort could be a daunting task; however, this is not the case. Oahu's hotels and resorts tend to be concentrated in a handful of select areas, with the majority located in the Waikiki/Honolulu area. And thanks to the island's large number of visitors, you can find accommodations to suit every taste and budget. Let Hawaii Guide assist you in selecting your perfect Oahu hotel or resort- check out the great rates and amenities these Oahu Accommodations offer. Our featured Oahu accommodations are those which we feel stand out in some way. For example, they may provide a gorgeous location, superior amenities and luxury, exceptional value, or a unique experience. See what has earned these properties a place in the spotlight. Looking for a hotel in a particular area of Oahu- such as world-famous Waikiki? Planning a certain type of Oahu vacation- maybe a romantic getaway? Then narrow your Oahu lodging search by location and theme here. You can also search for a hotel by star rating, which means you'll find the level of service and price point that meets your needs. Wondering which region of Oahu to visit? Check out the pros and cons of each area here. 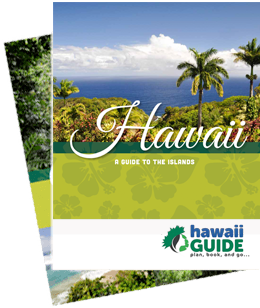 You'll also find a guide to the top Oahu luxury and boutique hotels, as well as other helpful Oahu travel information.